The Homeschool Buyers Co-op is pleased present an exclusive discount for select products from award-winning Nessy.com. Used in schools around the world, Nessy has proved successful with thousands of dyslexic children for over 10 years. Note: We are sorry! This offer is only good for the US Version Only! Nessy Reading & Spelling adheres to the Orton-Gillingham principles and is adapted to how the individual learns. 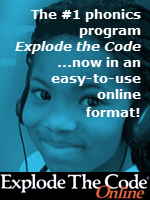 The online subscription can be used to supplement an existing program or as a complete system of instruction. • Phoneme-Grapheme Correspondences • Six syllable types • Prefixes, Suffixes • Rhyming skills • Phoneme identity, blending and segmentation • And much more! Nessy Numbers teaches mathematical strategies and is ideal for children who struggle with math. Research studies by professor David Geary have proved that understanding mathematical concepts is essential to learning mathematics and is a much more effective way to learn than memorization. Writing Beach teaches tricky to grasp concepts such as punctuation, grammar, parts of speech, sentence structure and more. Nessy Fingers takes your child through 5 lessons covering the Home Keys and each portion of the alphabet teaching them how to touch type. Once your child has played the lessons, there are games to reinforce learning and a typing speed test for helping to master the keyboard. Dyslexia Quest Screening provides a snapshot of learning abilities linked to dyslexia and because it’s game-based, students have fun without realizing they are being assessed. Covering age ranges 5 to 7, 8 to 10 and 11 to 16, each assessment game tests memory and learning skills in key areas affected by dyslexia. Plus, the assessment reports are easy to understand so no special teacher training is required! Home Pack includes 4 separate products: Nessy Reading & Spelling, Writing Beach, Nessy Numbers, and Nessy Fingers. Best Value! Dyslexia Home Pack includes 6 separate products: Dyslexia Quest, Nessy Reading & Spelling, Writing Beach, Nessy Numbers, Nessy Fingers, and as part of the exclusive pack, you will also be able to download a FREE copy of the ebook Dyslexia Explained. 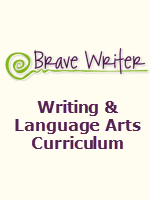 This bundle provides all your dyslexia K-5 teaching aids in one convenient location. Visit the Nessy.com website for more information. Try Nessy.com Reading & Spelling FREE for 7 days! Fulfillment: Within minutes of registering below, the Co-op will publish a Promotion Code in your Co-op account "My Subscriptions" page that you can use to purchase the courses at the Nessy.com website. Simply sign into your Co-op account and look for instructions, a link, and the Promotion Code in the "Nessy.com" section of your "My Subscriptions" page. By registering for this coupon to use on the Nessy.com site, you are eligible for 500 SmartPoints the first time you register. Should you register again for the coupon, you will not receive the 500 SmartPoints. A Single Student One Year online subscription to Nessy Reading & Spelling helps rebuilds student's self-confidence, while improving reading, spelling and writing. The 20% Coupon Code can be applied to additional student purchases for which pricing can be found on the Nessy.com product page. A One Year online subscription to Nessy Numbers (for use for up to 3 Students) helps students develop an understanding of core mathematical concepts. Writing Beach offers a unique and engaging way to help children aged 7-14 understand the building blocks of written language while having fun. Learn about sentence structure, grammar, punctuation and strategies that give children a structure they can follow when writing. A Single Student One Year online subscription to Dyslexia Quest Screening include a total of 6 assessment game tests memory and learning skills in key areas affected by dyslexia. The assessment reports are easy to understand so no teacher training is required. The 20% Coupon Code can be applied to additional student purchases for which pricing can be found on the Nessy.com product page. With the Home Pack, you child can get help with reading, spelling, writing and multiplication in a fun, multisensory way using game, videos and worksheets. Includes 4 separate products for one child (Nessy Reading & Spelling, Nessy Numbers, Writing Beach, and Nessy Fingers). Dyslexia Home Pack - BEST VALUE! With the Nessy Parent Pack, you can screen your child for dyslexia and help with reading, spelling, writing and multiplication in a fun, multisensory way using game, videos and worksheets. Includes 6 separate products for one child (Nessy Reading & Spelling, Nessy Numbers, Writing Beach, Nessy Fingers, and Dyslexia Quest) and as part of the exclusive pack, you will also be able to download a FREE copy of the ebook Dyslexia Explained.